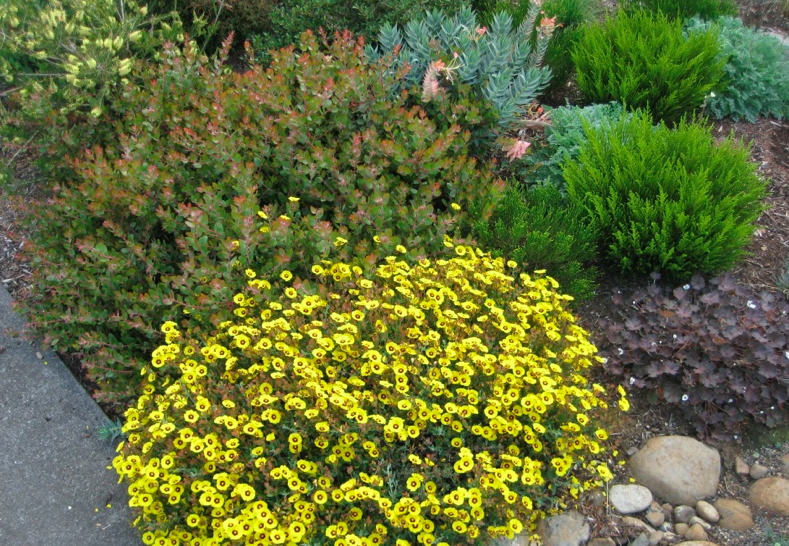 A very compact form of golden rockrose that is also an insanely heavy blooming machine. To barely 2′ tall and as wide in 5 years. 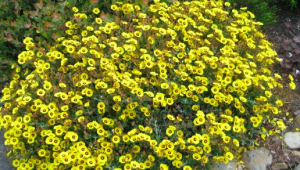 Evergrey foliage is obscured in late spring to early summer with masses of daily golden flowers with a black center. Awesome wildflower effect that lasts for weeks. Full sun and average to poor well drained soil. Water to establish then no water or light water. Longer lived with neglect. Rock gardens, Hellstrips, etc.